It's a fact supported by sleep experts and pediatricians around the world - babies and young children sleep better with white noise! White noise is hands down the most effective, easiest to implement, inexpensive sleep aid for babies. And there's good science to support this claim. 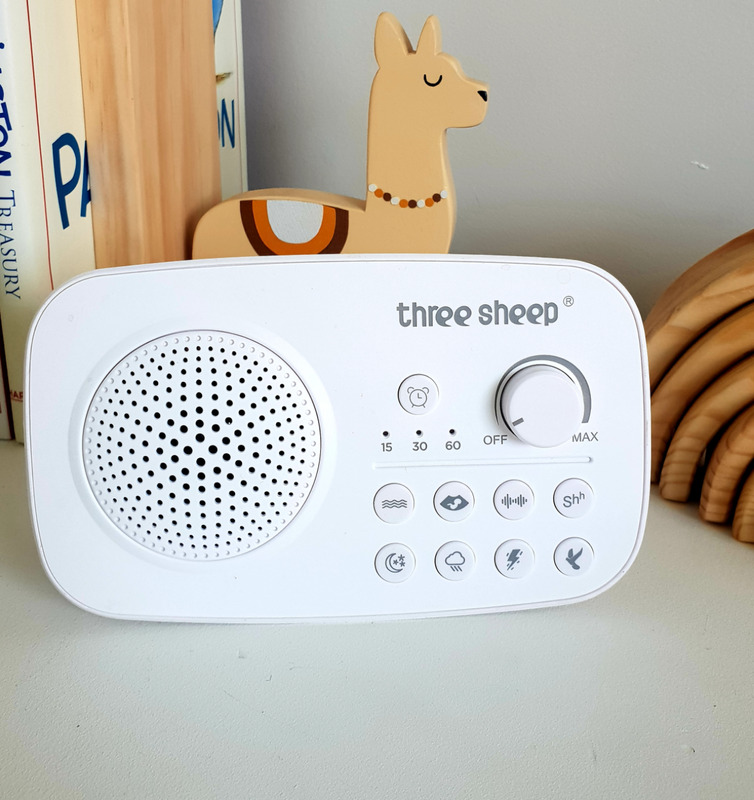 This compact Three Sheep Sound Therapy is a portable white noise machine and will sit on the shelf of the nursery, travel in the car or pram, and create a relaxing, comforting, familiar sleep environment for babies, toddlers and older children. Or plug it in to electric power in the nursery, and it plays all day and night. We are proud to offer a 30 day satisfaction guarantee, so you can buy and try with confidence! This "Mum-approved" white noise machine will help your child drift to sleep, and stay asleep without interruption. Don't let your child's sleep be disrupted by outside loud noises, music, voices, older siblings playing around the house, noisy neighbours or early morning rubbish trucks. - Volume control: whisper quiet through to strong and powerful. Adjust as needed. - Easy to use, and simple buttons to press. - It will play all night long as your child sleeps peacefully. - Both electric and battery powered. 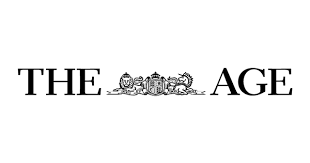 - Recommended by Jen Reviews in the blog "Everything Your Baby Needs - According to Science"
Sleep advisers around the world endorse the use of 'white noise' style machines as a calming, consistent sleep inducer for babies. And millions of parents agree. Your new baby is quite used to noise because the in utero environment is quite loud, with heartbeat, fluid, your voice and even the TV. In fact, complete silence can be more confusing to a newborn than background noise. Read more on our blog white noise wonders here. One of the greatest benefits of white noise machines is that they help babies fall back to sleep if they wake up as they drift from 1 sleep cycle to the next (usually every 20-45 minutes). This means their day naps will last longer and they will be less likely to fully wake in the night. If you have a toddler or older child who has never used white noise before, you will be amazed at how quickly they adjust to this positive sleep association. Let them choose their favourite sound!! Why can't I just use an app on the phone? Many customers begin using sound apps on their phone but found it was too inconvenient having the phone or I-pad in the child's room. Our device a simple, cost-effective and useful choice. Also, there are some health concerns about radiation with phone and I-pads in children's room, even in 'flight mode'. 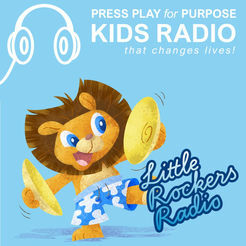 Will my child become addicted to the sound? Unlikely, and sleep experts agree that there is little to worry about. These white noise machines are NOT being used as a 'sleep prop' - like a dummy, or being rocked, patted or sung to, which requires a parent to initiate. Your child can use this machine safely for many years. When you're ready to stop using 'white noise', simply turn the volume down a little every night until your not using the sound at all. Easy. Thank you for understanding that this device is not a "magic overnight fix" for sleep issues. Like any positive sleep routine, it requires commitment and consistency. But the long term benefits will be worth it. Whatever stage of childhood your family is in, our range of Sleep Products can help. Children of all ages need good sleep, full stop. Babies and children have better brain function, better mood and better physical capability if they have had sufficient rest. Parents also need good sleep, if they are to positively attend to all that is required for a happy family life. From babyhood, children can be encouraged to develop healthy sleeping habits with the use of white noise. It becomes a familiar, independent, soothing cue that sleep time has arrived. Beyond babyhood, if habits have crept into your family's routine that you would like to change (eg: children sleeping in parental bed, child only soothing if parent lies beside them, child waking at dawn), then you will need to understand that it will take days or maybe weeks to re-train these habits. It may be a case of 2 steps forward, and 1 step back. There will be times it feels too hard or stressful or not worth it, but hold firm. In the long run, it's your child's health and wellbeing, and your energy and fulfillment as a parent that will benefit. That sounds like worth playing for! We love to support community projects. 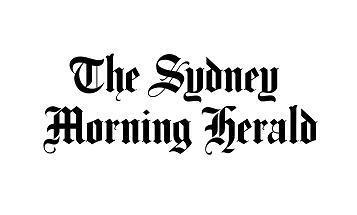 Your Three Sheep Sound Spa Portable will be lodged with Australia Post or Sendle.com Couriers on the same business day (if ordered before 10am), or by the next business day, GUARANTEED. 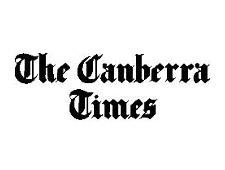 Standard delivery $7.50 Express Post $10. 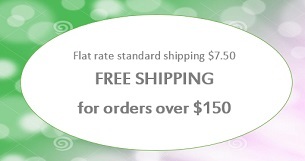 Free shipping for orders over $150. Same day local pick up from Brisbane. Snotty Noses Specializes in Nasal Aspirators, Humidifiers and Vaporizers. Customers trust their purchase from us. We have used this machine for many years with our own children, and they are wonderful sleepers. We value each and every sale, by offering outstanding customer service, fast dispatch, and a truly brilliant product. © Snotty Noses Australia Hero theme by Pixel Union, powered by BigCommerce.